I made this for the Practical Scrappers 1 year anniversary! They wanted you to use the word ONE, or have only ONE picture, or use only ONE embellishment over and over. I LOVE the way this turned out. In "real life" it is so much more vibrant. But head over to Practical Scrappers and check out all of the other ONES... hee hee. Sweet is from All Mixed Up welded to a circle from George. All paper is from Stampin' Up. This is such a fun page!! I love it!!! Great job!!! Jenny, this is such a fantastic LO!! Great job!!! Beautiful lo, Jenny! 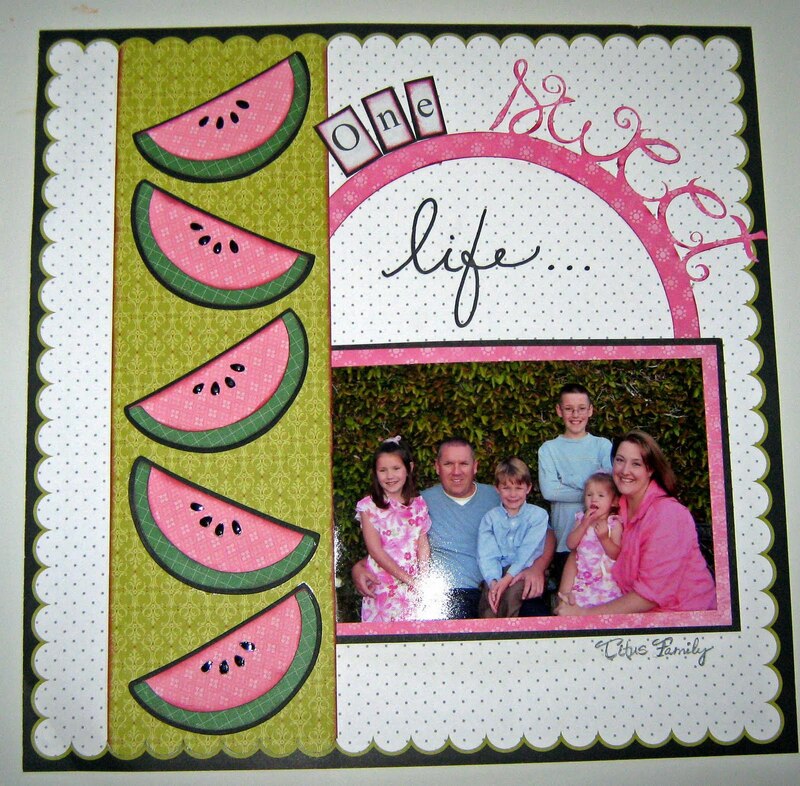 Love the watermelon and the colors you used are perfect with your pic! Fabulous! nice work. have you seen www.seriouslysorry.com ? Nice work it is so cute really do. What a darling page!! This is how your sweet family looked when we left Cali ... Makes me miss you & wonderful Cali all too much!! !